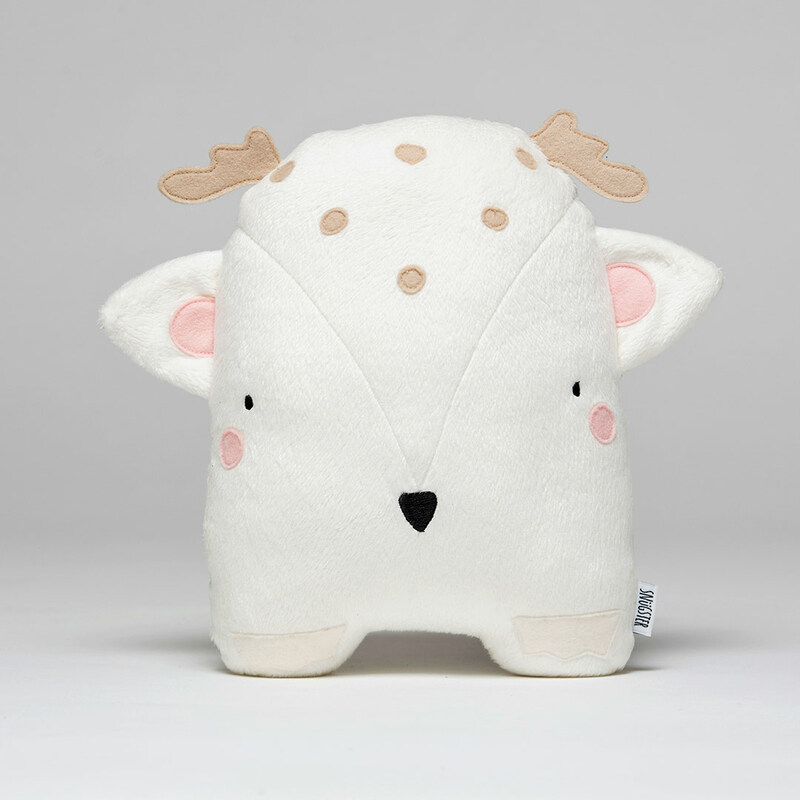 The adorable Dotti Deer by Snugster is sure to become your little darling’s favourite bedtime buddy. Dotti Deer is our gentlest Snugster and loves all things pretty and sweet. She eats berries the colour of her cheeks and loves playing amongst the trees. She can be a bit shy at times but loves lots of snuggles! Each Snugster is handmade in Cape Town with love, care and attention to detail. Made from super soft fleece, 100% wool felt and hypo-allergenic polyester stuffing with embroidered features. Hand wash or machine washable on the cold and gentle cycle; wash separately and lie flat to dry.